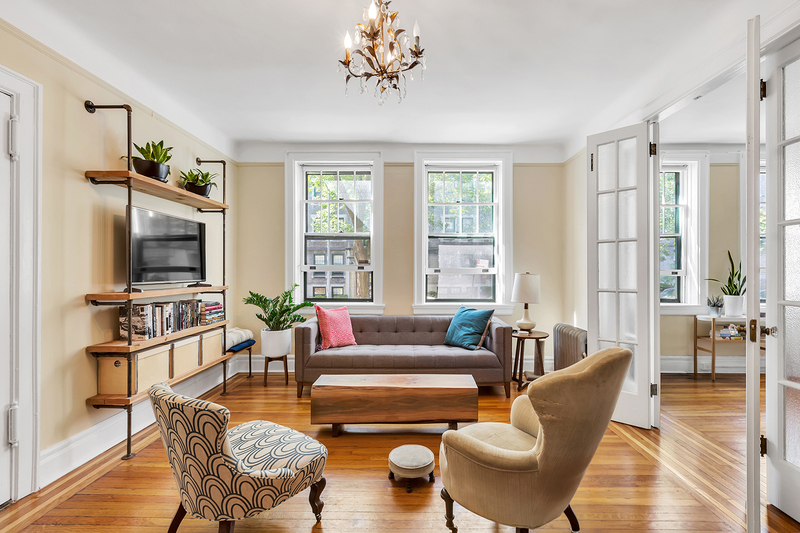 Located on the most talked about historic block of Jackson Heights, in one of the Greystones buildings, this beautifully renovated home has retained all of its historic charm and has been enhanced with all of the modern conveniences. Walls have been skim coated to smoothness, floors were beautifully refinished and both the kitchen and bath underwent a complete renovation. Anchored by its original hardwood floor, the kitchen has been designed in classic white and outfitted with quality stainless steel appliances, including a dishwasher. The dining area within the kitchen overlooks the garden through its massive window. The bathroom features classic subway tile design and has been outfitted with quality fixtures. 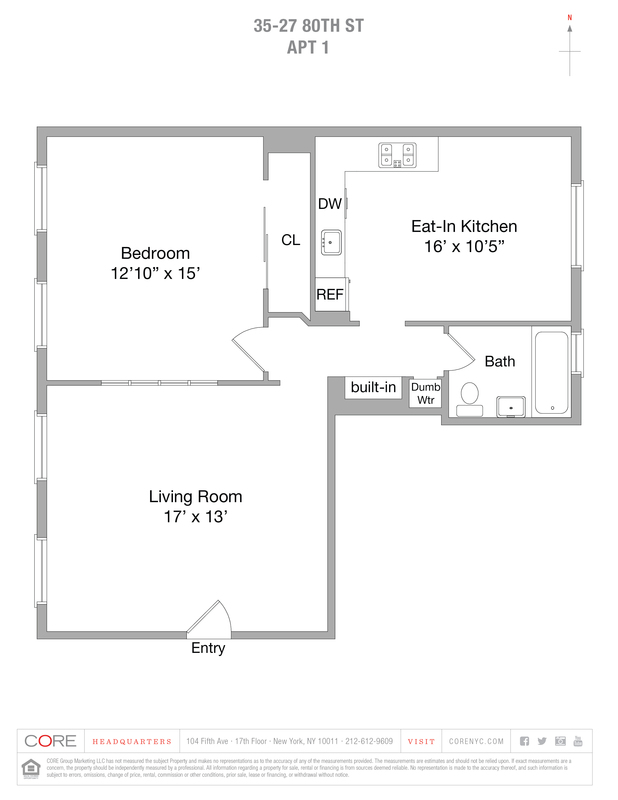 This unit comes with a private storage room and a key to the building's private roof deck. The building has a live-in super, sprawling shared private garden, laundry facilities and hanging bike racks. This is a complete package of a turnkey Jackson Heights home, which we are proud to bring to market.